I’m a conference junkie. Give me the opportunity to attend one and I’m probably going to jump on it. I love learning new things and being exposed to new ideas. I love the sense of community and networking that tends to ensue. And I love the social aspects and seeing people I may only have a chance to see once or twice a year. I’m fortunate that I’ve had the opportunity to attend a variety of different conferences over the years, some of them on an annual basis. One that is newer to my repertoire but quickly becoming one of my favorites is the WorkHuman conference, pioneered by recognition giant Globoforce. This conference is now in its third year, and this year will be my second time attending. This year’s event in just a few weeks, running from May 30 – June 1 at the JW Marriott Phoenix Desert Ridge in Phoenix, AZ. If you’re not familiar, let me tell you a bit about this conference. First of all, it is NOT a user conference. Yes, it is hosted by Globoforce, and yes there are customers who attend and present, and examples of success stories using the Globoforce product interspersed throughout the agenda, but that is not the primary focus of this event. 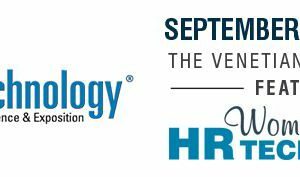 It is an event that is open to everyone and instead focuses on how we as HR pros can and should be nurturing and promoting more human workplaces. Recognition is certainly part of that, but it doesn’t begin and end there. The WorkHuman mission centers on “when companies harness the transformative power of human connections, well-being, purpose and communications, we build a work culture that both reminds us of our worth as individuals, and pulls us together in pursuit of shared success.” So it’s an event focused on building more human workplaces through great cultures, recognition, engagement, communication, and forging connection. And this year? It’s bigger and better than ever. Best-selling author and Wharton professor Adam Grant is back. Renowned TED talk speaker Susan Cain will be talking about the power of introverts in the workplace. And then there’s… Chaz Bono. Julia Louis Dreyfus. And Michelle Obama. Yes, you read those names correctly. All in one conference. An all-star line-up indeed, and one that rivals some of the biggest HR events out there. And those are just the keynotes. The rest of the agenda is packed with a plethora of other amazing speakers in tracks with names like The ROI of Social Recognition, The Organization of the Future, The Crowdsourced Enterprise, and Your Whole Self. No matter what your interest, there’s bound to be someone talking about it. WorkHuman is quickly becoming one of THE premier HR conferences. This year’s event is quickly approaching, but it’s not too late to join the movement. Want to join us in Phoenix? You can register here. And as an added bonus, you can save yourself some money by using discount code WH17INF-JPA for $500 off your registration.